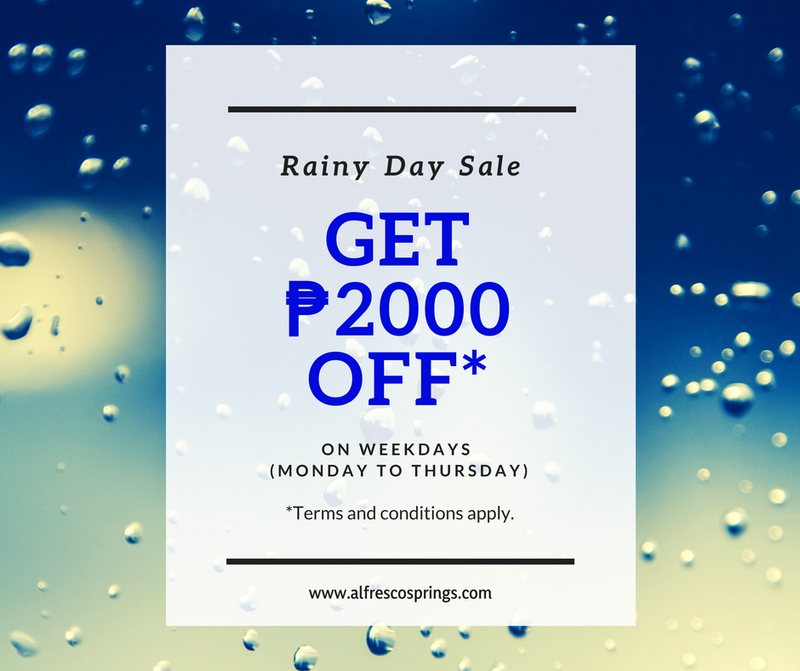 UPDATE: The rainy day sale has been extended and is now ₱3,000 off! Book now! Book now and get ₱3,000 off on weekdays (Monday to Thursday) for Al Fresco Springs Resorts 1 & 2!